To join our mailing list and receive free notifications of new listings that fit your desired property criteria, fill out the simple form below and click the "Send Me Free Info" button. Click here to access links to other helpful information on the web. Learn about our free Map Club. Learn about our free Long Island Commercial Property Reports. 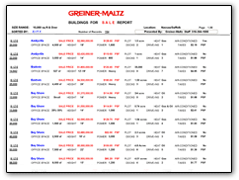 Which county(ies) in Greiner-Maltz country are you interested in? 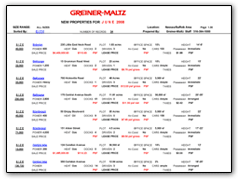 The Greiner-Maltz Map Club started over 40 years ago as a complimentary service and now, with thousands of members, this service remains complimentary! Whether you are a map collector, looking for a new site for your company, or just like the convenience of our wall sized maps that are issued in a variety of scales and formats from year to year, you can qualify for membership. Currently we have available a wonderful Manhattan Map which illustrates every building by address in Midtown, a one-of-a-kind (Route 110) corridor picture map which pinpoints, with professional photographs taken personally by Bill Greiner, 100 of the most prominent properties in that corridor. That's not all, we also offer a detailed street map of the Boroughs of Brooklyn and Queens, as well as topical maps such as the Long Island City Art Loop Map which provides locations of art studio and museum destinations in the gentrifying, Long Island City, Queens district. Our many customers, clients and friends have enjoyed the benefits of being a member of the Greiner-Maltz Map Club and we hope that you too will choose to join. Please complete the form above to learn more about how you can be a part of the Map Club, too. Click on any of the images below to see samples of out free Long Island Commercial Property Reports.